At Attention To Detail (ATD), our team of detail technicians use hot-water extraction methods to thoroughly sanitize carpets, erase stains, and eradicate allergens. 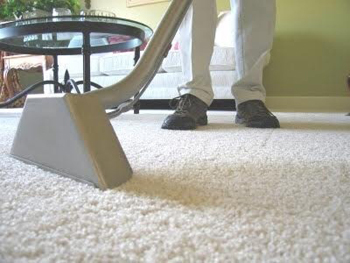 Hot-water extraction is the gold standard in residential carpet cleaning technology; this technology is capable of lifting dust mites, bacteria, grease, oil, wine, pet stains, and other debris up out of the carpet. Undoubtedly, our 10-step cleaning process ensures that the home’s carpets are deep cleaned. Property owners in the Ohio Valley can contact us for an estimate. The first step in the carpet cleaning process is the pre-inspection. Upon arrival, a technician will perform a walk-through to assess the areas to be cleaned and confirm the quote. At this time, property owners are encouraged to point out stains and problem areas they would like corrected. ATD technicians will evaluate these areas of concern and determine if they can be treated with spot or stain treatments, or require a complete carpet repair. Before the carpets are cleaned, any standard furniture items may be moved upon request; this includes couches, chairs, and tables. Area rugs and lamps may also be moved. Prior to the carpet cleaning appointment, customers should move any breakable items, and clear areas of toys, clothes, and any other small items. Larger furniture items, such as beds, dressers, and entertainment centers, can be moved upon request and will incur an additional charge. 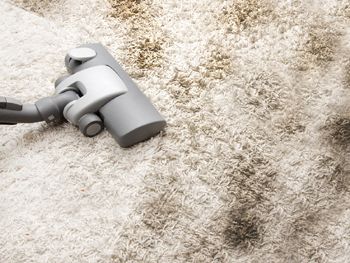 Property owners should vacuum the carpets before the carpet cleaning appointment. If debris is left on the carpets or under any furniture items that have been moved, ATD technicians will vacuum the area for an additional fee. This is an important step and should not be overlooked. To begin the actual carpet cleaning process, a natural, organic enzyme solution is applied to spots and high traffic areas. These areas may then be agitated with a pile brush or a floor machine with a soft carpet brush attachment for heavily soiled areas, if needed. This step helps to break up or loosen the deposits on the carpet and bring them to the surface so they are more easily removed during the next step of treatment. After the home has been prepped for cleaning, our carpet extraction machine is used to remove debris and residue from the carpet. The machine uses a mixture of hot water and a powerful cleaning solution to sanitize the carpets. After this solution is injected into the carpet fibers, the debris and liquid is suctioned out of the carpet. Finally, the carpet is rinsed with a neutralizing solution to remove any remaining dirt or cleaning residue. Certain spots, such as those caused by pets, liquid spills, or items that contain inks or dyes, require extra attention and treatment after the hot-water extraction cleaning is complete. Additional hand scrubs may be required to properly remove deep longstanding stains. Keep in mind that some spots may not respond well to spot cleaning treatment; ATD will identify and notify customers of such stains during the pre-inspection. This step is optional but highly recommended; a carpet protection product can be applied to the carpets after the cleaning and grooming for maximum absorption. This product offers protection from permanent stains, makes it easier to remove spills, and can prolong the lifespan of the carpet. Most carpet manufacturers also recommend application after each cleaning in order to uphold the carpet mill warranty. A special tool that resembles a rake is used to groom the carpet pile, or fibers. This speeds up the drying process and improves the appearance of the carpet. Finally, we will do another walk through to ensure that customers are satisfied with the results. During this time, we will also provide property owners with tips to keep the carpets clean and recommend a time for a future cleaning, tailored to the specific needs of each home. A neutral spot cleaning solution and product is offered to each customer so the homeowner can spot clean between scheduled cleaning appointments. *7% Sales Tax added to all sales *$25 Furniture Moving Fee *Additional Fee for pet hair, stains, or odors.